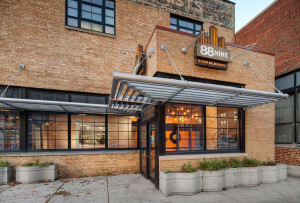 Thank you for supporting 88Nine during our Fall Membership Drive! Thanks to everyone who donated to our Fall Membership Drive. We reached our goal! If you haven’t donated, you can still do so an pick up some great thank you gifts! Everything that happens at Radio Milwaukee is made possible by the support from our Members! As a nonprofit organization, your support is vital to our work and your gift is an investment in the future of Radio Milwaukee, keeping us on-air, online, and in the community. Check out this video to see how YOUR gift will make a difference. A gift at any level makes you a Radio Milwaukee Member, but at these levels, you get extra perks!